Discussion in 'Indian Air Force' started by hotstud69, May 1, 2010. The Indian Ministry of Defence has one month to decide if it wants to acquire the last C-17. The impending sale of the last Boeing C-17 Globemaster III heavy lift aircraft to India has been under a cloud because of the reluctance of the U.S. government to extend the validity of the Letter of Offer and Acceptance beyond October 17. In September, the defence ministry had submitted a request for an extension of the validity of the LOA by 120 days after the date of expiry, but the U.S. government is unwilling to consider a grace period longer than a month at this point, and has sent a letter issuing an extension of 30 days. This is partly because U.S. government has been under pressure from other customers eager to buy the last white-tail C-17, some of whom are willing to move quickly and have a far more compelling business case, with a sale to them being tied to potential orders for other equipment. There are at least three countries keen on taking the last aircraft. Meanwhile, the file for the acquisition case in India’s defense ministry has not seen any movement for the last two weeks. The C-17 production line closed in 2015 and the Indian Air Force (IAF) has, so far, missed opportunities to acquire any of the remaining ten white-tail aircraft, to the extent that only one aircraft is now available. The IAF had an option for six C-17s as part of its original order for ten aircraft. No one familiar with Indian defence ministry practices and timelines has any illusions that the acquisition case can be completed in these 30 days, but observers are optimistic that if robust progress on the case can be shown at the end of this period, the U.S. government could be persuaded to allow a further grace period on the basis of a foreseeable, imminent conclusion of the order. But failing this, the U.S. government is in no mood to agree to any open-ended extension, with customers waiting in line for the aircraft. The value of the order is estimated to be around USD 350 million. Of the last ten C-17 aircraft, two were purchased by Australia and Kuwait, each, one by Canada, and four were snapped up by Qatar. I'd like to know your views regarding the An-32 replacement. You have confidence in the MTA program? If that doesn't work out, what alternatives is IAF likely to look at in the ~20 ton category? Judging by the progress in this program so far, IAF should have already considered some other aircraft as a backup plan (have they?). What's the scope for something like a C-130XJ (basically, a somewhat cheaper 130J variant for local production, no need of the extended 130J-30) as an alternative for the MTA? Angel Eyes, GuardianRED and proud_indian like this. First COngrats on being the Mod!! I was a Moderator for years, bro. Haven't heard any news regarding the C295 in a while. Really??? Sorry slow slow day for me - need coffee - didn't notice the Mod Tags .... My Bad! Yes no movement for years sadly. Single vendor situation, not enough orders to make a production line efficient, the same old issues. There is nothing on MTA. IAF would like more C130s, and their performance is proving to be lucrative. There was talk of C295 but ... nothing came of it. C295 was shelved due to "no funds" mantra given by UPA after Food Subsidy Bill. Since then, the funds have remained an issue even under present regime. The problem is that even present regime needs to win elections, the populism of UPA and prior to that, decades of 'socialism' has ensured that free sops will take time to go. Look at LPG subsidies. By taking out a Rs 10 lac mark and linking up PAN and AADHAR, the subsidies are being closed. People resent it by and large. In such a scenario, funds will get diverted to such frivolous acts thereby depreciating efforts elsewhere. The regime is trying to offset it with massive upgradation in infra projects. Ironhide, GuardianRED and Gessler like this. It never was shelved, but kept on being a topic of both governments, which are facing the same problem however, single vendor situation. The Avro replacement was aimed by Antony to get privat players into defence and he created the team up policy with foreign OEM's. But only Tata and Airbus replied to the tender. Arun Jaitly re-issued the same tender after the election, with the exception, that HAL was not allowed to participate and search for a partner, but the result was the same with just Tata and Airbus replying. Even another re-issuing under Parrikar didn't changed anything and we keep hearing TATA complaining about too low numbers for the production line to be viable (which is why additional orders for BSF were to be included this year according IAF officials), while the single vendor situation gives Airbus the upper hand in price negotiations. Btw, going for additional C130s as the MTA replacement would be a mistake, because the small cargo hold limits vehicle transports. We already have to use C17s with a fraction of it's payload capacity, for flights to carry payloads the C130 can't carry. MTA was based on the IL76 cargo hold and had solved that issue and if that's not an option anymore, we have to evaluate alternatives. "A decision has been made to organize the serial production of the Il-276 medium transport plane at the Aviastar-SP Company. 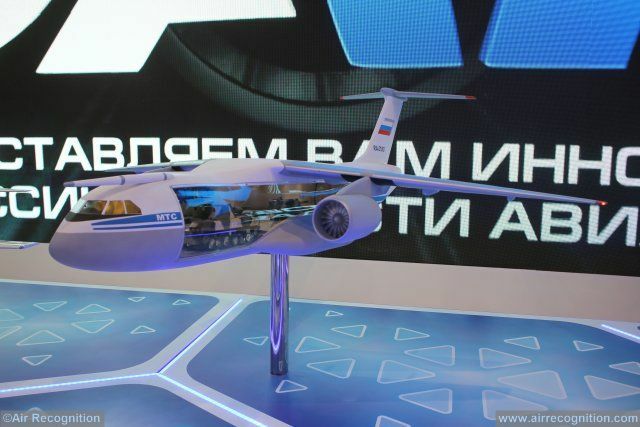 A task was assigned to spend budget funds as effectively as possible and make manufacturing lines currently being set up for the new plane compatible with the Il-76 and Il-78 aircraft," Rogozin said at a meeting. India is on the verge of losing the last available C-17 heavy transport aircraft that it lobbied hard to procure due to red tape. There is also a possibility of another country snagging the much valued lifter because of India’s delays. The Indian Air Force has been keen to add to its current fleet of 10 C-17 Globemaster aircraft that have taken part in rescue and relief missions, besides carrying out operational missions across the country. The IAF had cleared a proposal in 2015 to buy three more heavy lifters at a cost of Rs 8,100 crore but the long running procurement process meant that its manufacturer, Boeing, ran out of aircraft to sell. The C-17 production line has been shut down and only one aircraft was left for offer to India. While the Indian side made efforts at the highest levels to procure the last available C-17 in the world – requesting Washington to block sales request from other countries interested in the aircraft – the bureaucratic processes are not yet complete. Officials told ThePrint that Washington could rescind the offer due to repeated delays by the defence ministry to send the formal ‘Letter of Acceptance’ (LOA). An LOA is part of the Foreign Military Sales (FMS) route that India and the US follow for direct government-to-government sales. What do you think is the matter with this deal? Do you think the the concerns (engine) from our side are real deal breaker? They are also developing Il-112 which I think can be a good replacement of our AVROs. What's your take? The fact that Russia didn't allowed us to select western engines was one reason, the IL112 was offered before, but it wasn't developed and available and the only response to the Avro tenders, came from Airbus and Tata. buy C-2's over A400m's imo. Buy C-2 over US-2 to start with. US-2 would be a waste of resources but why C-2?